Since the law of 2004 prohibiting the wearing of "conspicuous" religious symbols in public schools, a gradual development has taken place in France. From the law banning full-face covering in public space (2010) to various measures concerning the parents of students (2012) and the employees of private nurseries (2014), women wearing the Islamic headscarf have been excluded from different spheres of public life. The debates surrounding these measures revolve around the idea of defending or reinforcing republican values. Through which political – including discursive – processes did the public promotion of republican values come to signify the exclusion of headscarf-wearing Muslim women from public spaces? My research tackles this question by employing a conceptual and discursive approach to the study of political ideologies. More specifically, by anchoring my analysis in the public discourses surrounding four so-called "veil affairs," my research sheds light on the gradual transformation of French republican ideology – a complex construct through which political concepts gain meaning. Drawing on a large corpus of empirical data, my analysis demonstrates that the conceptual proximity of public secularism (laïcité) and gender equality – which was formalized in the 2004 law – has resulted in changes within the republican-ideological structure. These changes are visible in the ways that the meanings attached not only to public secularism and gender equality, but also to a range of other republican values (freedom of religion, public order, education, integration, etc. ), have shifted. This transformation of French republicanism has also affected the ways in which actors can successfully lay claim to values associated with republicanism, laïcité, and feminism. Member of the Canada Research Chair in Citizenship and Governance. Member of the Institute for Social Sciences of Politics. Member of the International Research Training Group "Diversity: Mediating Difference in Transcultural Spaces" (University of Trier – Université de Montréal – Saarland University). Ph.D. candidate in political science at the Université de Montréal. Completed comprehensive exams in political theory and public policy. Graduate studies in political science at the University of Helsinki, Master’s degree in Social SciencesThesis"The Other Side of Identity: The Islamic Veil as a Marker of a Political Frontier in the French Debate of 2004"
Graduate teaching assistant for the course "Introduction to International Studies", Université de Montréal. Graduate teaching assistant for the course "Globalization and Governance", Université de Montréal. Research trainee at the Institute for Social Sciences of Politics (ISP, ENS Cachan). Seminar manager for the course "Foundations of Political Thought," University of Helsinki. Research assistant, University of Helsinki. Trans-Atlantic Summer Institute Fellowship in European Studies, University of Minnesota. The Canadian Centre for German and European Studies, field research grant. Allocation for doctoral research (allocation doctorale) from Institut Émilie du Châtelet. Award for the Best Master's Thesis in Political Science (2009–2010) attributed by the Finnish Political Science Association. International Scholarship Program of the École Normale Supérieure de Cachan. Republicanism Recast: How the ”Veil Affairs” Transformed French Republican Ideology and Public Discourse (2004–2014) (Université de Montréal, HAL Id: tel-01609978 https://tel.archives-ouvertes.fr/tel-01609978). 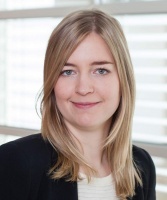 “Sarah Haverkort‐Speekenbrink: European Non‐Discrimination Law: A Comparison of EU Law and the ECHR in the Field of Non Discrimination and Freedom of Religion in Public Employment with an Emphasis on the Islamic Headscarf Issue (Cambridge: 2012)” (Book Review), Droit & Société[http://ds.hypotheses.org/673]. (with Meghan Luhman) “Framing Migration: Rhetoric and Reality in Europe”, Council for European Studies, Reviews and Critical Commentary [http://councilforeuropeanstudies.org/critcom/framingmigration‐rhetoric‐and‐reality‐in‐europe‐an‐introduction/]. Review of "Constructing Muslims in France: Discourse, Public Identity, and the Politics of Citizenship" by Jennifer Fredette. Council for European Studies, Reviews and Critical Commentary (CritCom) [published online http://councilforeuropeanstudies.org/critcom/constructing-muslims-in-france-discourse-public-identity-and-the-politics-of-citizenship/]. "The Europeanization of the Intersectional Approach to Combating Discrimination: Debates, Policies, and Institutional Changes." Canada-Europe Transaltlantic Dialogue [published online: https://labs.carleton.ca/canadaeurope/2013/commentary-and-literature-review-the-europeanization-of-the-intersectional-approach-to-combating-discrimination-debates-policies-and-institutional-changes/]. Annual Conference, Council for European Studies in Philadelphia, USA, 14-16/04/2016. Négocier les diversités: noveaux espaces de sécuritisation? Annual Conference of the Société québécoise de science politique, Québec, Canada, 20-22/05/2015. Annual conference of the Société québécoise de science politique, Montréal, Canada, 20/05/2015. Transatlantic Summer School in European Studies 2014 - Graduate Student Fellowship. Participation à une école d'été organisée par DAAD Center for German and European Studies, University of Minnesota, USA, 07-09/07/2014. Reporter for the reunion of the program Successful Societies du CIFAR, 02-03/05/204.